Henry joined Hawksmoor in 2014 after 20 years sitting behind the same desk but with different company names on the door. In 1994 he joined Christows, the Exeter-based investment management company, which in 2006 became Williams de Broe, which in turn was swallowed up in 2012 by Investec Wealth and Investments. During this time he led the team responsible for managing over £120 million of private client portfolios. Between 1999 and 2005 he was also responsible for managing the research and strategy team, before passing over this responsibility to the infinitely more capable Jim Wood-Smith, who moved to Hawksmoor at the same time as Henry. Prior to joining Christows, Henry did his spell in the City, working for Nikko Securities and Capel-Cure Myers. 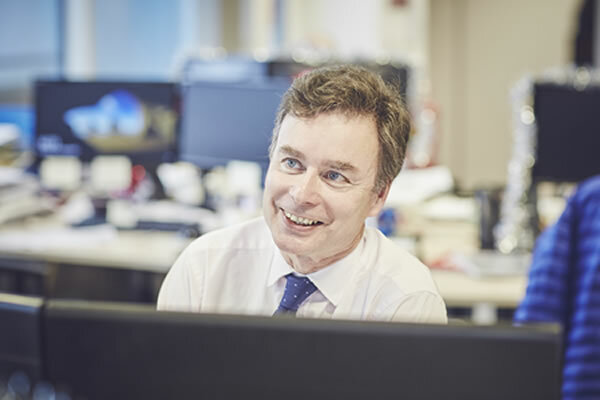 He now works in Hawksmoor’s Exeter office as a Director and a member of the investment management team with a particular focus on managing portfolios on behalf of clients of financial advisers. He is a Fellow of the Chartered Institute of Securities and Investment.